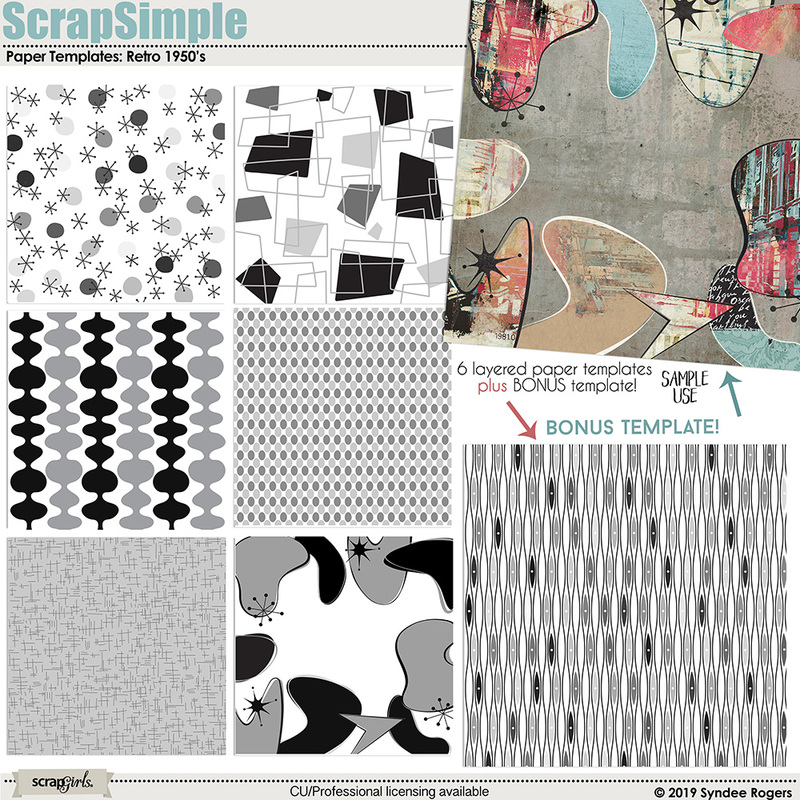 Step back in time with this kitschy set of 1950's inspired paper templates! You will receive layered PSD files as well as PNG's of each design. Six (6) templates plus a BONUS template! When you complete your purchase, you will receive (via email) a pass code which will allow you to download your product files directly from a download area that is assigned specifically for your use. You will also be able to locate your download and pass code information in your Scrap Girls Boutique account area. Share your stories with this collage style digital kit filled with unique papers, embellishments, and hand-lettered quotes! 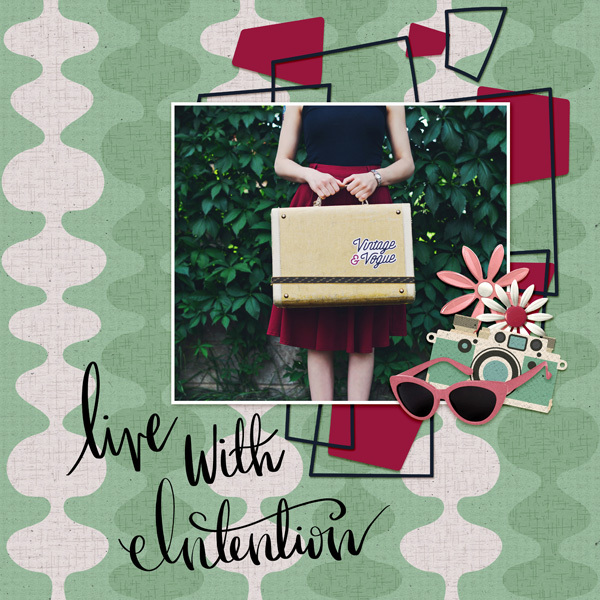 Get creative quickly using this collage style digital kit! 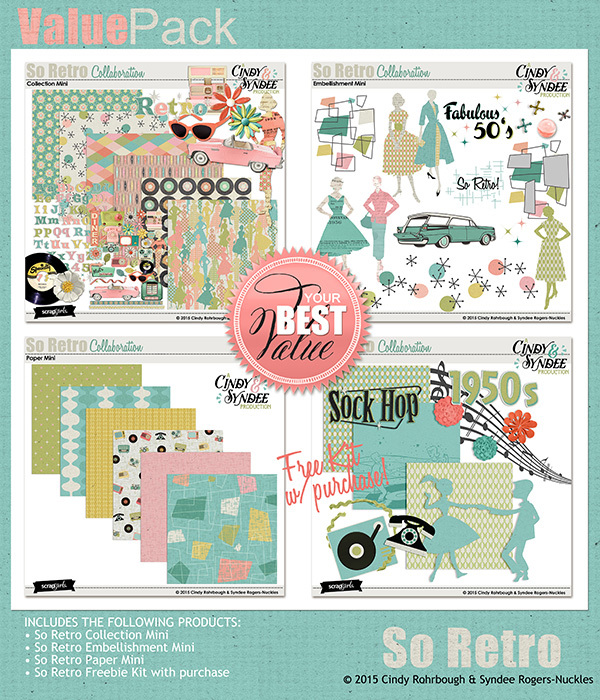 Go retro with these kitschy shapes embellishment templates! Use to add an accent, journaling spot or create a paper. FREE Brush set with purchase! 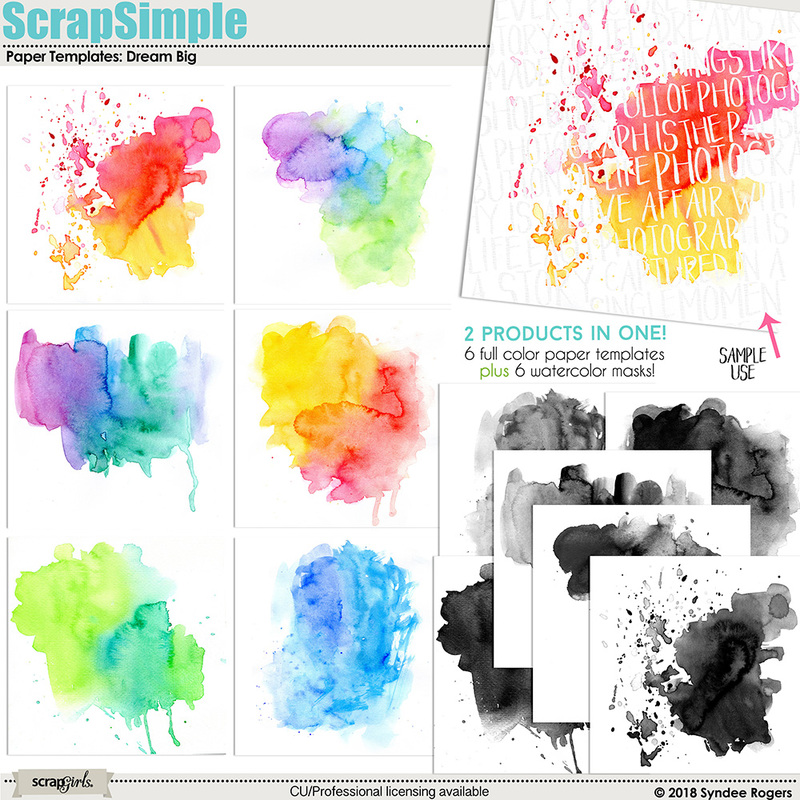 These bright and happy watercolor paper templates are the perfect backdrop for your layout or project! Add marble, glitter, foil, and gold nugget textures to alphas, embellishments, backgrounds and more with this set of custom styles for PS and PSE! Decorate your planner and your scrapbook pages and cards with these fun illustrations that feature a sweet girl all bundled up for winter! Recreate the popular die-cut paper look with these fun templates! Beautify your scrapbook pages quickly with these embellishment clusters! 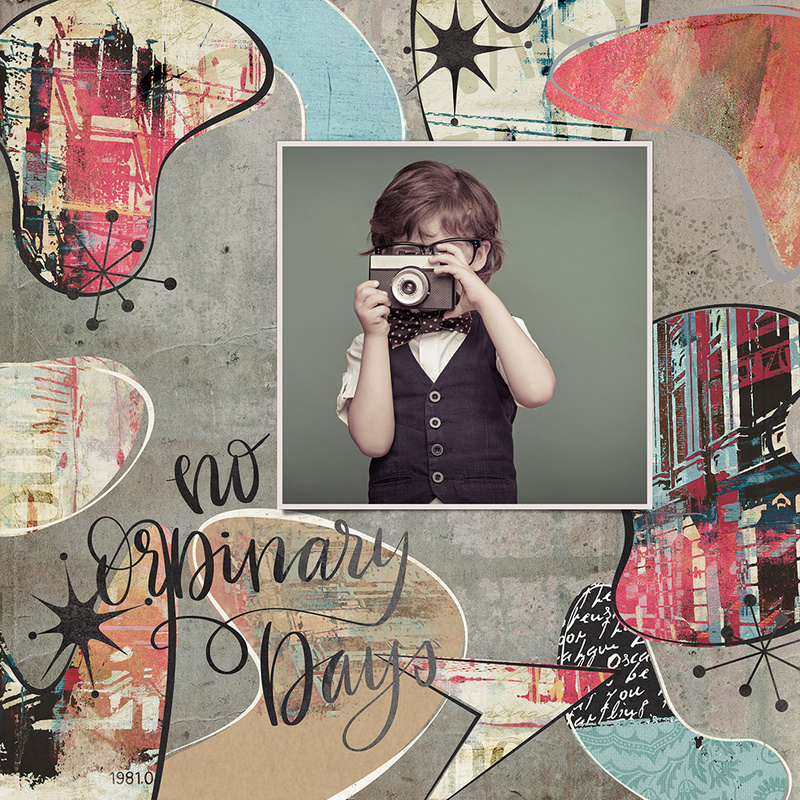 Revisit times gone by with this kitschy digital kit that features retro images sure to bring a smile to your face! FREE paper super mini with purchase of kit! Plan on the go with your iPad in the popular GoodNotes app! This set of days and months stickers are the perfect compliment to your digital planner. Create layouts quickly with this pretty collection super mini! Planning has never been easier with the Color Your World digital planner! Plan on the go with your iPad in the popular GoodNotes app! GoodNotes is also available in a desktop version so you can plan on your home computer! PDF version for use in other apps coming very soon! The pack includes 18 brushes. This is one of the most versatile and easy to use kits I have. It has so many beautiful things in it.